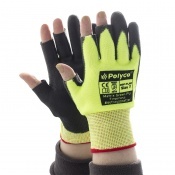 If your work involves frequent hand washing, constantly removing your gloves and putting them back on can be impractical to say the least. The Gloves in a Bottle Shielding Lotion (100ml) offers an elegant solution that will protect your hands, and leave them soft for longer, while allowing you to maintain full fingertip sensitivity and dexterity. How Does Gloves in a Bottle Work? When we suffer from dry, cracked and irritated skin, our first instinct is usually replacing natural oils and moisture with artificial ones, found in conventional moisturizers, lotions and skin creams. 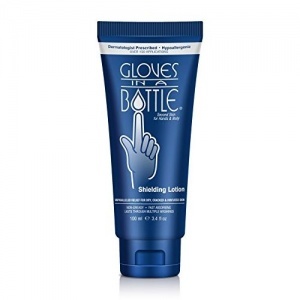 Gloves in a Bottle uses a brand new technology in skin care that restores the protective qualities of the outer layer of skin while enabling it to regain its natural oil and moisture balance. This revolutionary product bonds with the dead skin cells of the outermost layer of skin to create an invisible shield, which then works like an invisible pair of gloves, while the skin is still allowed to breathe and perspire naturally. Because Gloves in a Bottle becomes part of the skin itself, it doesn't wash off like an ordinary hand cream, but instead comes off naturally with exfoliating skin cells. Who Can Benefit from Gloves in a Bottle? Bought this item before. 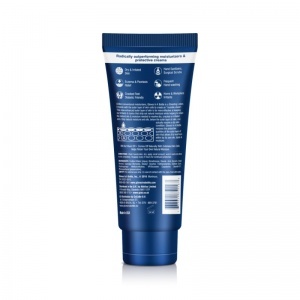 It’s a very good handcream. It has a nice feel to it and I feel that the cream is still on my hands even after I’ve washed your hands a couple of times.